Share the post "Fibroids and the African American Woman"
The risk of African American women of getting uterine fibroids is higher than other ethnic groups. Three times more. 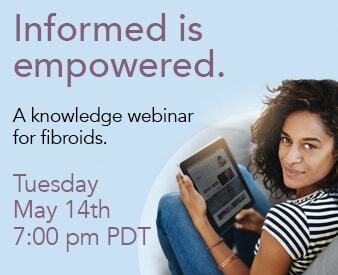 In fact, 20-40% of all African American women will have fibroids by the age of 40. Why are African American Women More at Risk for Fibroids? Some studies suggest that women of African heritage have higher levels of estrogen than women of other races. High levels of estrogen are linked to fibroid growth. A group predisposed to high estrogen may also be predisposed to fibroids. Other research points to higher levels of estrogen plus a deficiency of progesterone (Progesterone is the counter-hormone to estrogen). A condition of high estrogen levels and low progesterone levels is called Estrogen Dominance Syndrome (EDS). In younger women, EDS causes extremely heavy periods. Interestingly, this syndrome also commonly occurs in menopausal women, where hormone levels are dropping, but progesterone far more rapidly than estrogen. A paper published in the Biochemical Journal explores the relationship between fibroids and keloid (raised) scars. Both are common in the African American community and result from the formation of excess fibrous connective tissue as part of a reactive or repairing process. Simply put, people who are prone to keloid scars may also be prone to fibroids. While there is no proven link between hair relaxers and fibroids, there have been indications that women who use them have a higher incidence. Hair relaxers can cause scalp burns. Chemical exposure from these burns may somehow be associated with fibroid development. Whatever the cause of high-fibroid risk in African American women, understanding treatment options is vital. Hysterectomy and myomectomy are common surgical approaches. For those wishing to avoid such surgeries, a minimally invasive procedure, Uterine Artery Embolization (UFE), offers a 94% success rate. Learn about uterine artery embolization at www.fibroids.com and www.fibroid-treatment.com.